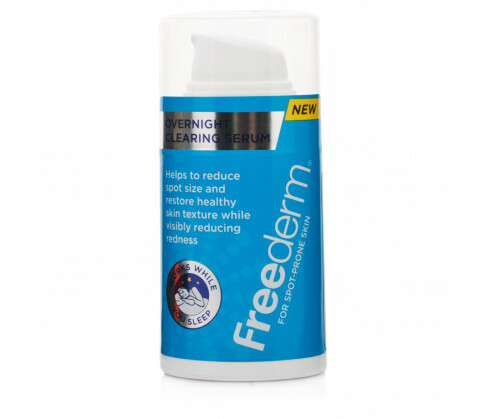 Freederm Overnight Clearing Serum is indicated for reduction and removal of spots, scars and blemishes from your face. It is specially beneficial for teenagers and those with oily, acne-prone skin. The serum is for external use and topical application only. Avoid contact with eyes while applying. Always read all instructions and product details carefully before use. Store the pack in a cool and dry place and away from the reach of children. The repairing serum has been specially formulated to work on your skin throughout the night. This is the best time to repair and rejuvenate your skin since you are at rest for significant hours and your face is not exposed to any polluting hazards. The serum is especially beneficial for adolescents and young adults who are prone to acne, blemishes and similar dark spots that appear because of hormonal changes during these years. To use, cleanse your face and neck and apply all over just before going to bed. Smoothen and massage the cream with gentle upward strokes till it is absorbed completely. 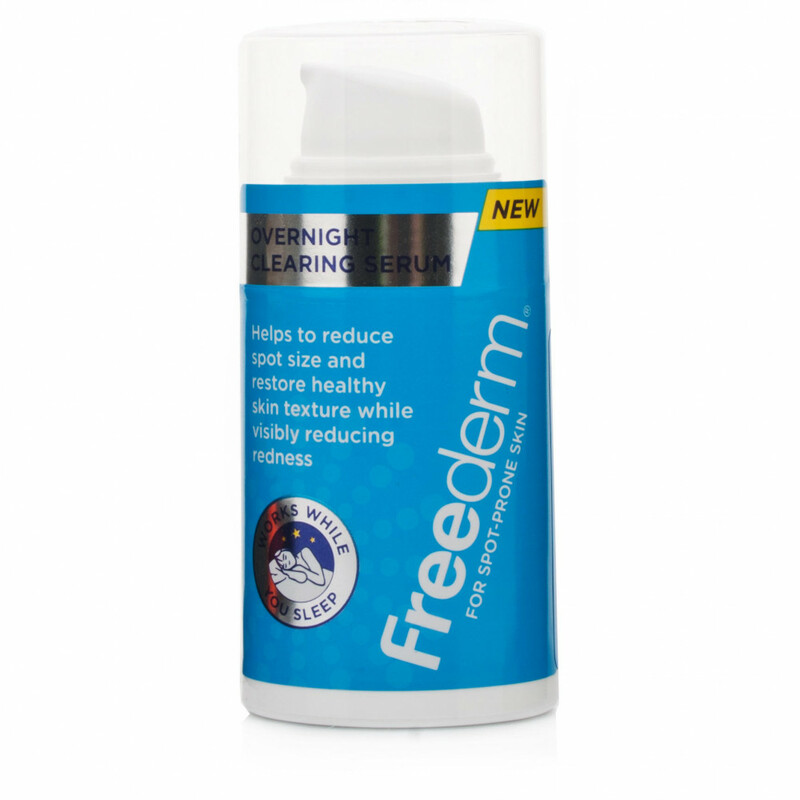 Freederm Overnight Clearing Serum contains Aqua, Arachidyl Alcohol, Cetearyl Alcohol, Arachidyl Glucoside, Behenyl Alcohol, Niacinamide, Ceteareth-20, Caprylic/Capric Triglyceride, Paraffinum Liquidum, Isopropyl Myristate, Dimethicone, Propylene Glycol, Phenoxyethanol, Methylisothiazolinone Glycerin, Chlorphenesin and Citric Acid .